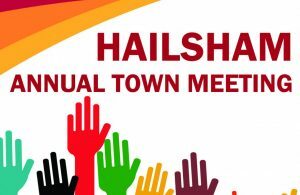 Hailsham residents are invited to attend the next Annual Town Meeting which takes place at the Civic Community Hall in Vicarage Lane on Wednesday 10th April. The main part of the meeting will start at 7.30pm and will be chaired by the Town Mayor Councillor Nigel Coltman. Prior to the main residents’ meeting there will be an opportunity for you to view information stands from local groups and talk to representatives of those organisations from 6.30pm to 7.30pm. At the Annual Town Meeting, the Hailsham Hero Community Award will be presented to this year’s recipient, given to someone who has served and shown commitment to the Hailsham community. To ask a question in advance, please write to: John Harrison (Town Clerk), Inglenook, Market Street, Hailsham, BN27 2AE. The deadline for submission of questions is Friday 5th April. Residents can also turn up and ask questions on the night. A full Agenda for the evening is available on the Town Council here. EAST Sussex sends less waste to landfill than almost any other area of the country, new figures reveal.